I hope everyone had a Happy Chinese/Lunar New Year. For those who celebrated, I’m sure you are stuffed and spoiled with all the great food (probably to the point you can’t eat anymore). Well that’s just perfect because this post isn’t about food. For those who are following my blog may know that I have been away on vacation the past couple of weeks, and as I have hinted in my previous post, I have something special for you. So, this is it! As a perk of being a blogger, you often get free stuff from sponsors (even away from home). While I was in Hong Kong, I took a mini-vacation to the islands of Macau (to many, this is known as mini-Vegas). 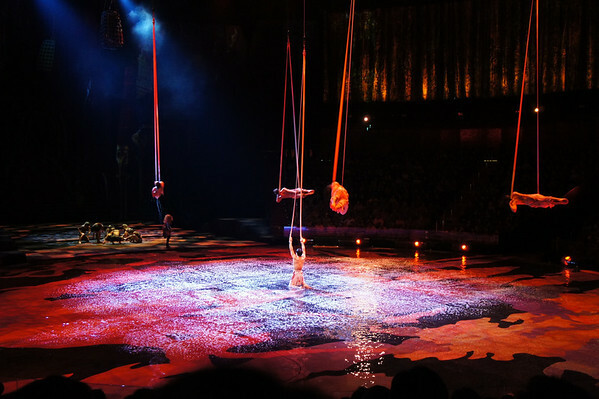 Besides eating and visiting the tourist areas, the other activity was to watch shows. 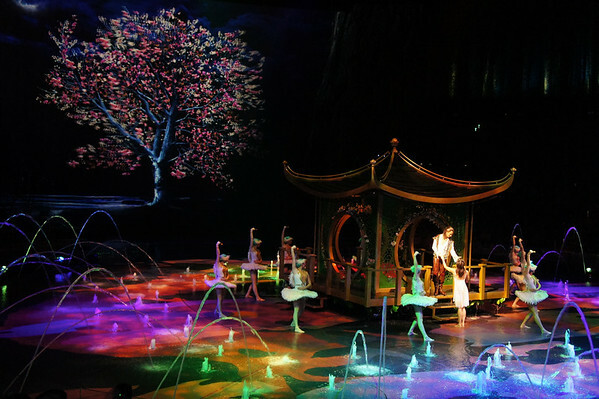 And this was exactly it, the best show in Macau was called “The House of Dancing Water“. 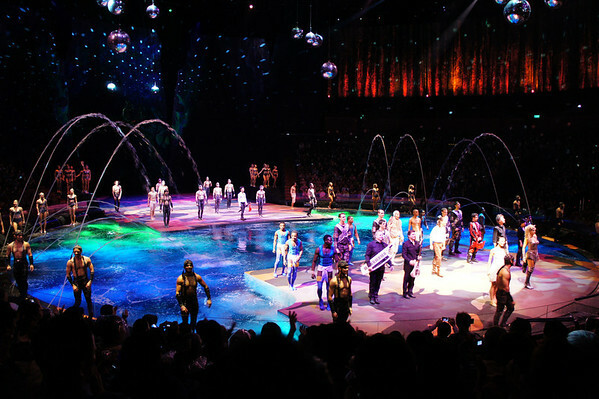 IMPORTANT: The House of Dancing Water will be taking a break from February 7th to the 16th, 2012. So, if you plan to watch this show on these dates, think again! 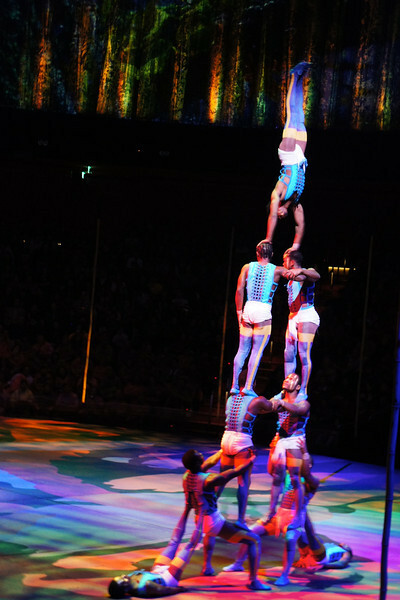 If you’ve ever watched Cirque du Soleil and thought the performance was amazing, well, you are going to be thrilled about this one for sure! This is a HK$2 Billion production located right in the centre of “City of Dreams” in Macau. The “City of Dreams” is composed of several big hotels, including Hard Rock, Crown Towers, and Grand Hyatt. 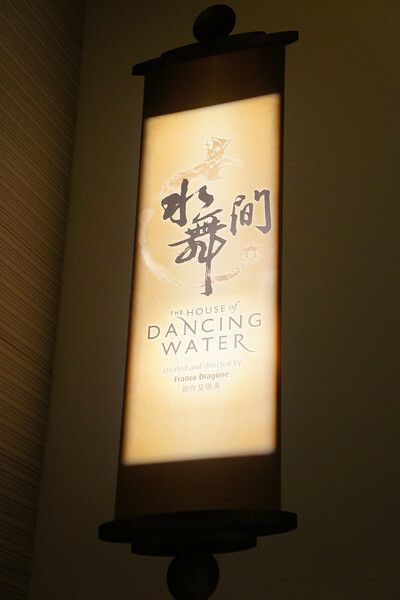 The House of Dancing Water is exactly what its’ name portrays. The entire performance is on water! 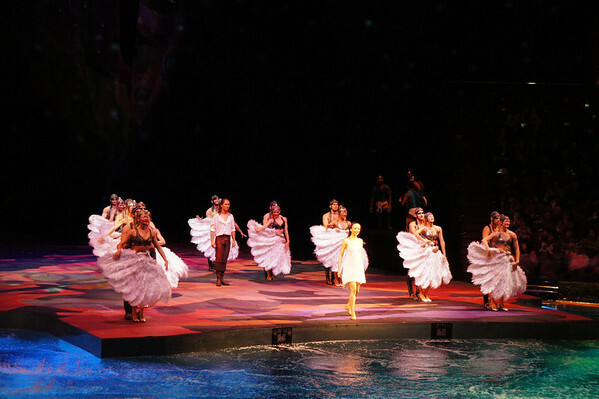 The theatre is performed in world’s largest commercial pool, considering the depth of the pool, it equals to more than 5 Olympic-sized swimming pools. 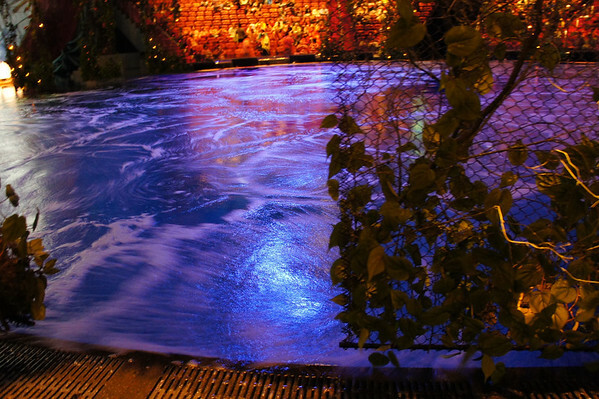 Just the pool itself will stun you because it can dry out in seconds and transform into a dive tank just as quickly! Just a few notes on the producer, Franco Dragone. 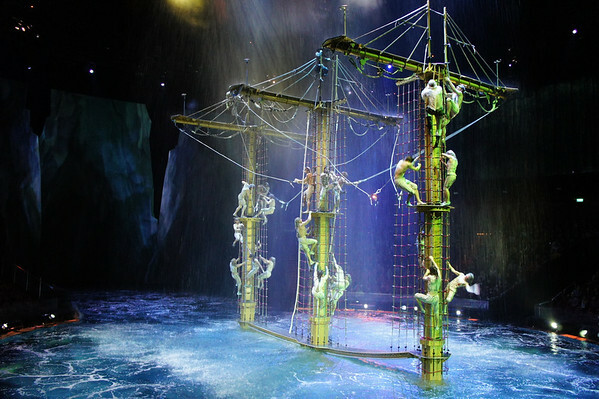 He’s the producer of several world-renowned productions, just to name a few the aquatic show Le Reve, and Celine Dion’s new tour A New Day. He’s practically half Canadian from his studies at Cirque school in Quebec, Canada. 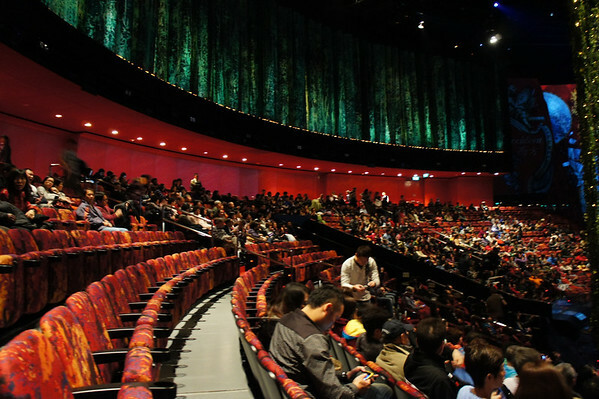 When I walked into the theatre, I was already impressed with the surroundings. I have heard rumours that both the stage and the theatre were small. In my opinion, I thought it was a pretty decent size for a production house. You certainly don’t get the huge ones that are found in Las Vegas because they just don’t have the space for it, but it is about the size of those travel tour tents put up by Cirque du Soleil, if not bigger. A note on when buying tickets for the show, there are 4 different zones. A/B/C and VIP. Thanks to the media folks at The House of Dancing Water, we were seated at A zone on the H-level, which is about 8 rows in (right in the middle). Now, these tickets at original value are about $100US and are situated almost centred to the stage. In my opinion, I think these tickets are even better than VIP tickets because you can see the exits/entrances clearly and that way you won’t see the back of a person directly, at least you can see the side of their faces. Another perk of sitting in zone A is that you are almost guaranteed that you won’t get wet. For those in C, you aren’t so lucky. But, there are water jackets for you. Take that as a 4D experience. I got there a little earlier so I could tour around the pool, so here’s a clear shot of the pool (as close I could get before falling in). It’s so deep, I could not see the bottom so you can imagine how deep it would be. I wasn’t able to capture many of the shots I’ve taken, due to the fact that I had forgotten my camera charger back in Hong Kong. So, I had to live with 2 batteries and 2 shows in 2 days. It was rather a challenge because the camera uses more battery life in low lighting and especially because I took a lot of videos the night before. I was actually afraid I couldn’t capture these breath-taking moments on film. Luckily I survived it, but I’ve taken less photos than I wanted. Here are just some of the shots I took that I thought was worth sharing. I was thoroughly impressed with the coordination of the performers throughout the performance. In this scene, there’s about 30 divers diving into a pool. But in reality, you would normally see one diver diving into a pool (in the Olympics). I could literally hear the audiences go “aww”! How do they even do it without hitting one another? It’s truly impressive, there’s actually behind the scene staff underneath the water directing traffic. So what the audience sees is only half of the show. 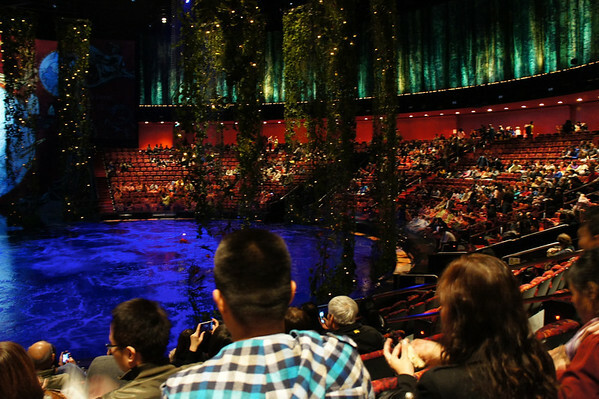 The House of Dancing Water was not only performed on water, but you also get to watch acrobats as well, your typical Cirque du Soleil experience as well. The pool can easily transform into dry land with a flash of an eye. 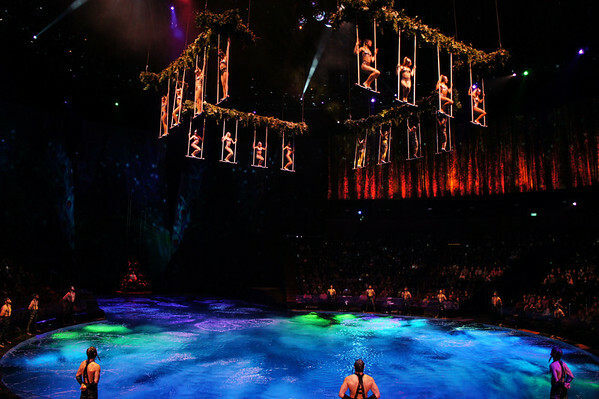 Beyond water and land, there’s quite a few mid-air performances. It’s such a thought-out transition when technicians need to adjust the water levels in the pool. If this doesn’t surprise you, I don’t know what will. Besides being a transformed pool, it’s also a 239 automated water fountain. I think this one is just a little more interesting than the Bellagio fountain in Vegas. 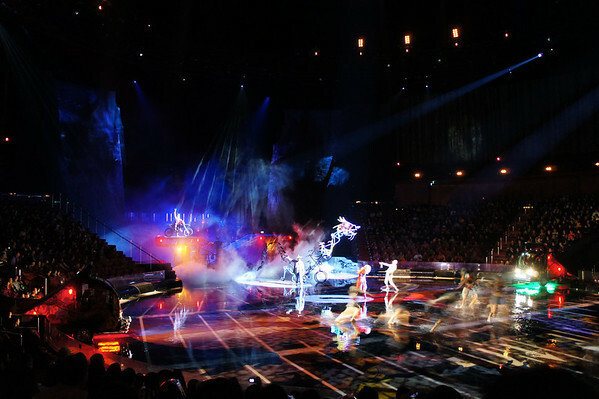 One of the most exciting scenes in the performance was the motorcycle show. 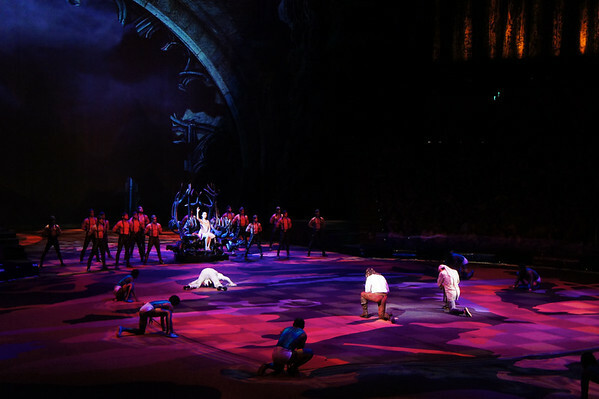 Even before I went, I have heard it’s one of the most memorable part of the show, there are 7 motorcycle stuntmen which will fly across the stage. One of the things I was most impressed with, was the visual graphics in the show. If you are a high-tech type of person, you would have really enjoy this show. 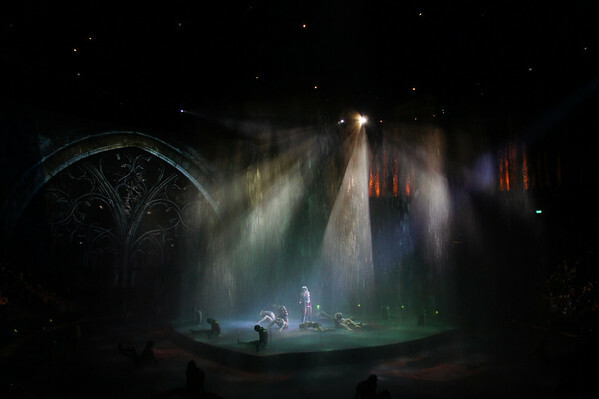 There are projection graphics to make the show come alive, some of these projections are 3D and are used very well with lighting and water. Some of these images are shown through light and water, pretty neat. Also, water just doesn’t come out of the ground, it also falls out from the sky. Aside all the lights and water, the story line was captivating as well. It’s got a lot of flavours in it, not only a love story but also a journey. It’s always a good show when there are bad guys fighting the good guys. The good guys always win. It’s a fairy tale happily ever after ending. Overall, the show was very breathtaking, from the story to the performance. There was not a moment I stared away from the stage. Every minute of the show was worth it, it was truly a remarkable production. 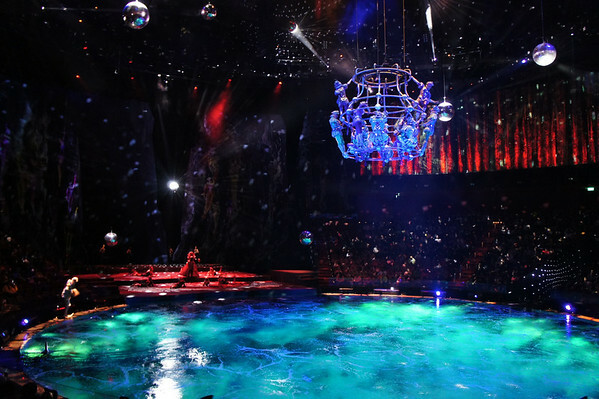 The show will be in Macau for good, and I don’t see how they can move a 3.7 million gallon pool with 239 automated fountains and 11 ten-ton elevators for a tour. So if you are in Macau or Hong Kong, do make the trip and I am sure you will not be disappointed. Please note, they are closed from February 7th to the 16th, 2012. 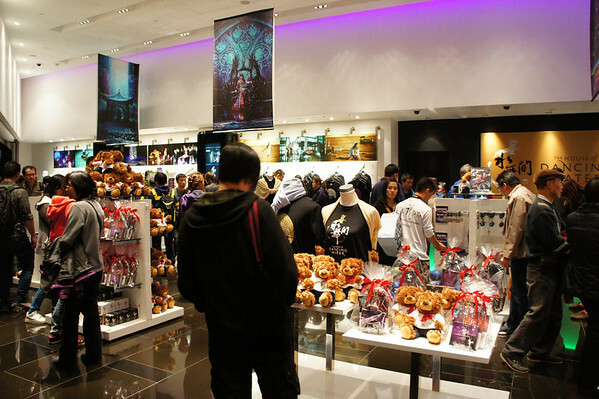 If you are the Gift Shop type of person, I would suggest you go early and visit the gift shop because there’s always a crowd after the show. So just a friendly hint to avoid the crowd and the lineups. 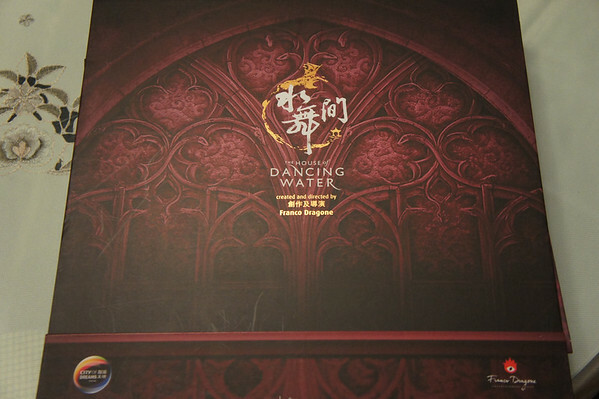 But for myself, I got a little something already from the team at The House of Dancing Waters. I’m pretty sure you won’t find this set at the gift shop, but you could find the soundtrack there. 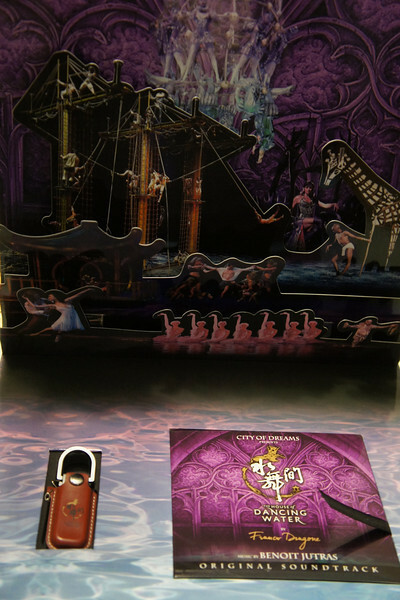 What’s included in this package is a USB, the Soundtrack, a 3D Poster, and books of the entire performance and storyline. 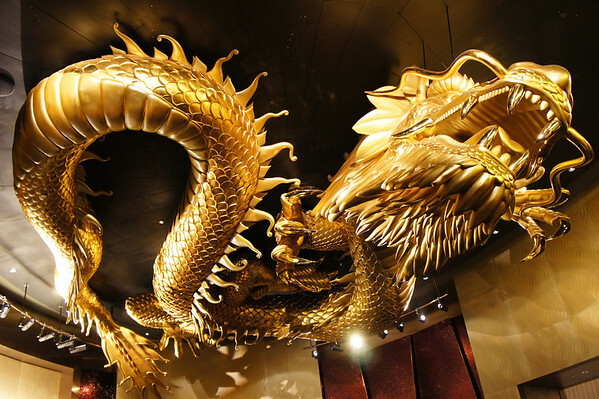 And to those who followed my last post … the dragon is found here in the City of Dreams, right in front of Salvatore Ferragamo. Stay tuned for all the great eats in Macau. That is wild. 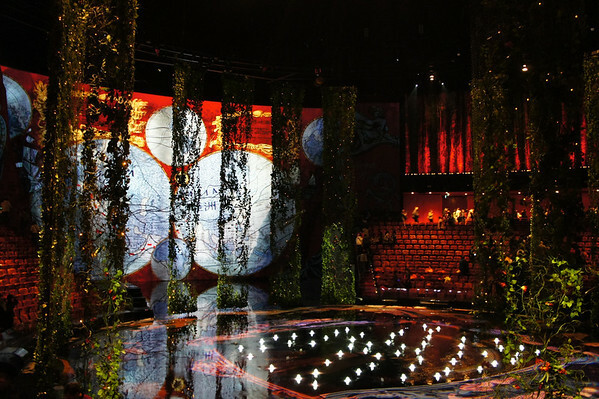 The most amazing staging I've ever seen was Ka at the MGM in Vegas, but this looks even better. Very cool. The pictures are beautiful!!! Now I am thinking to go to see it when I visit Hong Kong next month. Yes. You should definitely go! It'll be worth the trip. There are packages on their website, which is a pretty good deal.